When it comes to planning out your week, donating blood might not be a high item on the list. However, you could be saving a life just by spending a few minutes to give your blood. 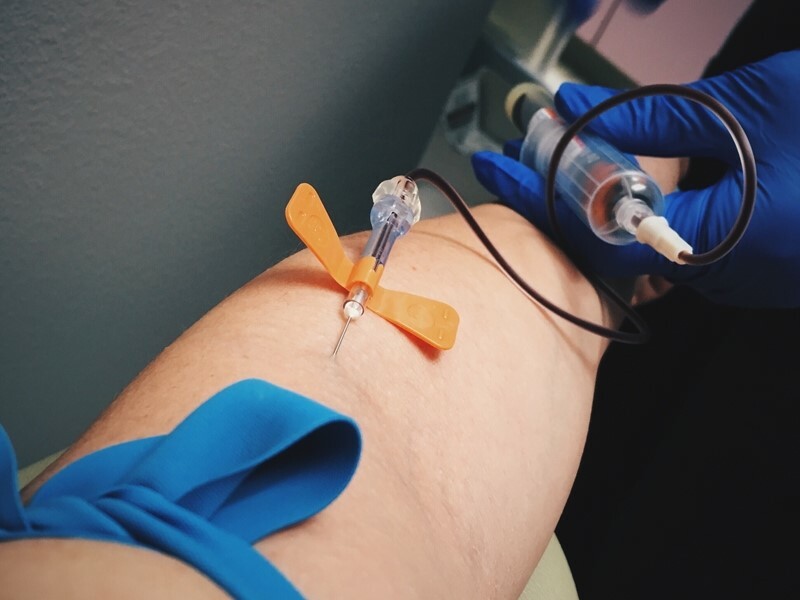 There's currently a blood donation shortage throughout the nation, and it's a big deal going forward, particularly for those who will need it most. According to the American Red Cross, 36,000 units of red blood cells, 7,000 units of platelets and 10,000 units of plasma are needed daily in the U.S. Blood is used for a number of treatments including those with cancer, orthopedic surgeries, organ and marrow transplants and blood disorders. A car accident victim might require as many as 100 pints of blood. Some individuals, like those with sickle cell disease, will need frequent blood transfusions throughout their lives. These numbers alone show just how important blood is and where it's being used the most. Without the necessary amount of donations, hospitals will be prevented from providing the best care and promoting patient health. Blood donations are being sent faster than they're being collected. Healthcare organizations and hospitals across the nation issued an emergency calls for eligible individuals to donate blood or platelets as soon as possible. The American Red Cross had 61,000 fewer donations over the past two months than what is needed and is sending donations to hospitals faster than the incoming supply. The agency has even added 25,000 additional appointment slots at donation centers and community blood drives across the country to accommodate donors and bounce back from the shortage. The Children's Hospital Los Angeles' blood supply also hit critically low levels at the beginning of July. CHLA issued an emergency call for donors in hopes of garnering 65 donors per day to replenish its low levels, Becker's Hospital Review stated. The facility has its own donation center as well as a traveling bloodmobile to reach interested individuals. "Shortages in the past have forced the cancelation of elective surgeries." With so many facilities and organizations depleting their available supply, it places hospitals and their patients in critical danger. According to ABC News, shortages in the past have forced the cancelation of elective surgeries in Los Angeles, Philadelphia and Atlanta. Blood shortages are becoming more prevalent in the summer because schools and businesses are less likely to hold blood drives, but this is becoming one of the worst depletions that blood banks have seen. People might not give blood because of the fear of needles. However, veteran blood donors can show new donors that the procedure isn't a big deal and the benefit of saving lives. Another issue is less availability during the summer. Making an appointment to go to a local donation center can be quick and easy. People can also talk to their managers to discuss a work blood drive. More social awareness and availability regarding blood and platelet donation will help overcome the national shortage and uphold patient treatment requirements. Talk to your patients about the procedure to give blood as well as how it will impact others.